This is the first novel in a fantasy trilogy by Irish-based author Barnaby Taylor. Unfortunately I couldn’t find a synopsis so I began reading without the advantage of a summary. The cover design is intriguing and quite retro in style. It is definitely eye-catching, with a surreal falcon feather centre stage. The prose are strong and the concept abstract. The author uses alliteration, similes, metaphors, irony, sarcasm and lots of humour to bring his story of life. There aren’t a huge amount of descriptive passages but the pace zips along without this detracting from the tale. The plot is straightforward with the underlying theme being the age-old struggle between good and evil. I found the characters slightly two-dimensional but perhaps this is inevitable in view of the structure, which flitted between microcosmic settings. Many of the incidental characters have colourful names which add flavour to the tale; I particularly liked Denver Footswerve and Alvira Toothpull. Half way through the book we discover the dastardly intentions of Dr Don’t Know which was helpful as I was unsure where the plot was leading at that point. 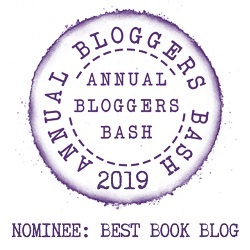 At the end of the book I wasn’t entirely sure who the main protagonist was supposed to be as there were two candidates. Without the benefit of a synopsis to see how much the author is prepared to give away, it isn’t appropriate for me to explore this in greater depth as it could be considered a spoiler. Whilst this satirical adventure is aimed at both children and adults, I think anyone under twelve will struggle with the irony but may just take it at face value and enjoy the action regardless. 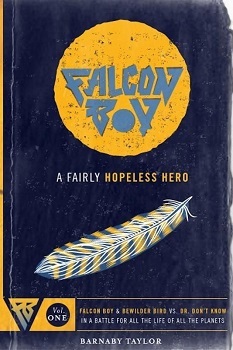 After a slightly sceptical start, I found this novel hugely entertaining and commend the author for an off-beat, feel-good, fun-read and award Falcon Boy a well-earned four stars. I am a film academic and author based in Dublin. I love many many things including repetition, Liverpool FC, the films of Yasujiro Ozu, Northern Soul, Julie Christie, Ghost Box Records, model villages, Hap and Leonard, Bronco Bullfrog, Edwige Fenech, Iris Murdoch and the golden age of British wrestling. I completed my PhD at the University of Kent on the films of the British New Wave in 2005 and in 2006 The British New Wave was published by Manchester University Press. Inspired by my daughter’s love of reading and listening to audiobooks I began working on the Falcon Boy books in 2012. Whereas most superheroes are vaunted for their being very good at things I wanted to create a world where not being very good is perfectly acceptable, if not a little endearing. Instead of extolling the value of perfection, Falcon Boy is a celebration of what it is to be fairly hopeless, a state that is much closer to my own experience of fatherhood. Volume I in the Falcon Boy: A Fairly Hopeless Hero series Falcon Boy and Bewilder Bird vs Dr Don’t Know in a Battle for all the Life of all the Planets is available for free download on Amazon and Smashwords. I am currently working on Volumes II and III.